Subsequent to the court order, Bahria Town was under immense pressure to settle this matter once and for all. In due course, NAB seized records of Bahria Town Karachi and file transfer process was stopped. Moreover, Bahria Town’s official bank accounts were frozen and plot holders stopped paying their due installments due to the uncertainty. 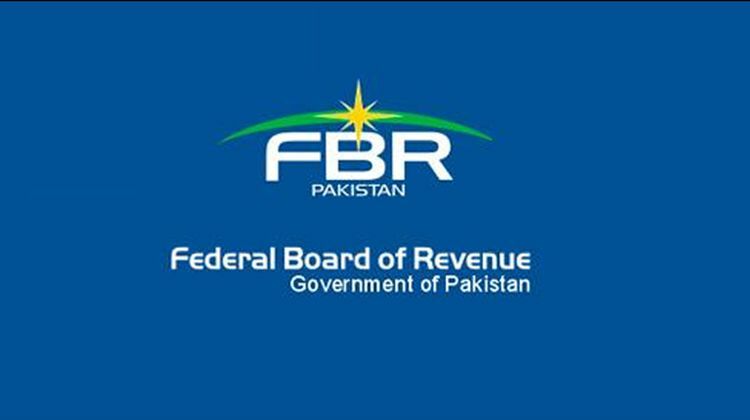 The bank accounts were restored later by the Supreme Court, however transfers are yet to be reopened. 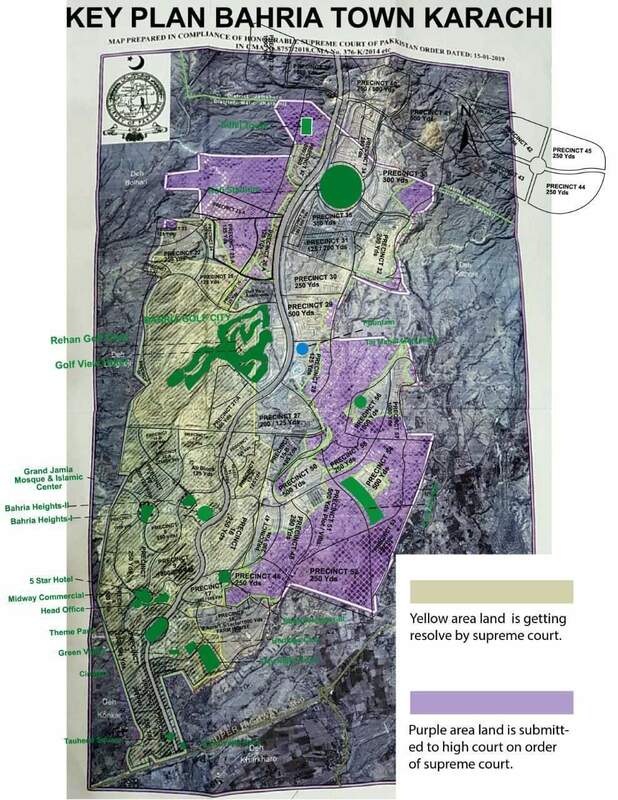 As per the map given above, the 16890 acres of land marked yellow is getting settled through the Supreme Court, while the future of remaining area marked in purple will be decided later by the High Court. Those who fall in affected area, which includes parts of Sports City, major part of Bahria Paradise, Precinct 23A, parts of 25a and 26a, Valley blocks, and newly balloted precincts; may be given replacement options if that land doesn’t get settled. So, it is important not to panic and wait n watch will be a better option. For past few months, Bahria Town has been increasing its offers on each hearing of the court but the Supreme Court rejected all offers saying it was too low. Bahria Town has finally increased its offer to 450 billion rupees to settle the subject land in Bahria Town Karachi which is expected to be approved by the Supreme Court. The court has reserved its decision until the next hearing on 21st of March, 2019. Bahria Town has reportedly increased its offer to 450 billions of rupees which will be payable by next 8 years through monthly installments. Once the offer is accepted, Bahria Town will pay 20 billion rupees as down payment, and pay 2.25 billion rupees per month for 5 years. After monthly payments for 5 years, the leftover amount will be paid in 3 years. Bahria Town will submit parks, zoo and cinema to the Supreme Court as collateral against settled amount. Bahria Town has still not restored the file transfer process, however it is quite likely to be restored as soon as a favorable decision is announced. Real estate markets are taking this as a very positive development, and bahria town karachi prices are improving day by day. As soon as the decision is out and case is settled, you will see high increase in property prices. Many investors have already started buying in Bahria Town Karachi, and this trend will accelerate in coming days. Those who have been waiting for past many months to sell out their properties in Bahria Town Karachi, it is now the time to hold them for a few more days to get better prices. Almost all new bookings and blocks had gone minus but now the situation seems to be improving. As soon as the land the legally leased to Bahria Town by MDA, you can expect a huge rise in prices. We will share updates of the final decision of the Supreme Court on 21st of March 2019, so stay tuned !